HOLLY SPRINGS, N.C. — Wake FC, ahead of its first season competing in USL League Two, has revealed its logo for the club's inaugural season of competition, which will begin in May. The crest features the club’s initials, “WFC,” in overlapping lettering that represents the connected relationship of community, futbol and club. The circular design signifies unity and togetherness, and also holds sentimental value to Executive Director David Allred -- whose 10-year-old daughter kicked off the redesign more than a year ago. “Wake FC families expressed the desire for a symbol that represented the club and we are pleased with the final design after seeking input from parents, players, coaches and staff,” Allred said. “The new logo will debut on the uniforms of our USL League Two and WPSL teams this summer. Wake FC was founded in 2012 by Wake County natives looking to provide a unique youth soccer experience for families in the area. The addition of the team is central to the professional pathway and brings a new dynamic to the club while also providing new opportunities for players looking for a pathway to professional and collegiate soccer. The organization plans to use its League Two team as the pinnacle of its player development pathway, which now runs from the U-8 instructional level and continues through collegiate soccer. For its inaugural season, Wake FC will bring in players from North Carolina-based universities like North Carolina State, UNC-Chapel Hill, Duke, Campbell, UNC-Wilmington and UNC-Asheville, as well as out-of-state talent from the likes of Indiana University, South Carolina, Old Dominion University and Louisiana State University. The club's goal is to continue to foster its connections with these college programs and enhance college recruiting opportunities for Wake FC players. In the 2018 MLS SuperDraft, more than 80 percent of players participated in USL League Two. The club will play all of its home games at Ting Stadium in Holly Springs and compete throughout the summer from May through mid-July. 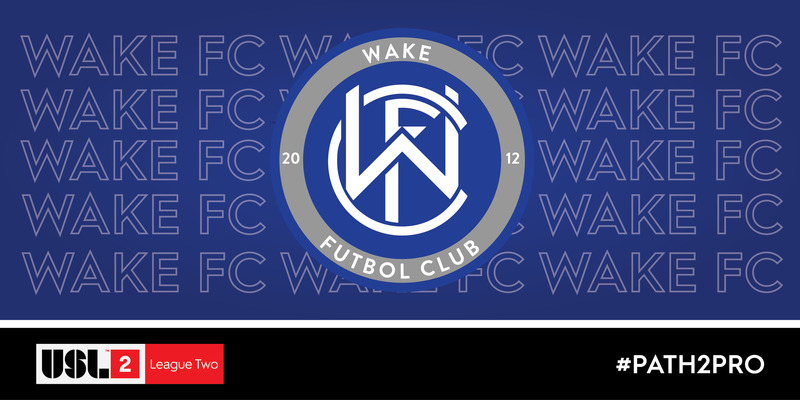 For more information on the club and USL League Two visit www.wakefc.com.